The Urban Hotel i San Francisco, USA : Boka nu! 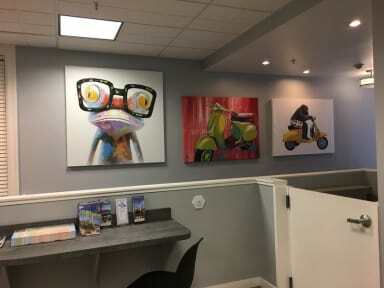 Whether you are traveling for business or leisure, our boutique communal hotel location provides comfort for open-minded travelers visiting San Francisco. Our hotel offers three unique room types to accommodate your lodging needs: The Single, Double, and Bunk Bed Room. The Urban's non-smoking guest rooms share communal bathrooms and offer travelers a great economical lodging alternative in The Heart of SF. The Urban Hotel Union Square, is ideally located within 3 of San Francisco’s most important neighborhoods: Union Square, Chinatown and The Financial District. Travelers staying at The Urban will be steps away from the Dragon Gates of Chinatown and the Financial District, 3 blocks to Union Square and 5 blocks to Moscone Convention Center. Room amenities include free complimentary WiFi, 32 inch flat screen LCD TV with HD cable channels, and a work desk. 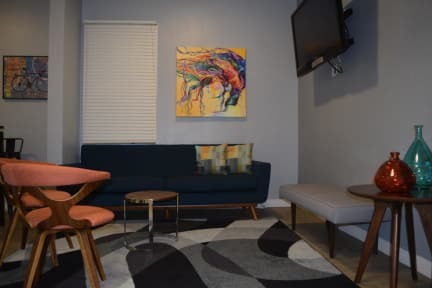 The Common area includes: free WiFi throughout, 24-hour front desk service, Lounge area with microwave ovens and large screen TV and Entertainment Center. USD 100 credit card deposit required at Check in. Taxes not included - occupancy tax 16.44 % per room per night. The Urban is only able to take reservations with a 7 night minimum.